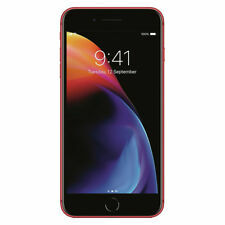 New Genuine Apple iPhone 8AT&T or Cricket Wireless 64GB. NEW Apple Lightning Sync cable. NEW Apple Headset. This phone is ONLY for AT&T and Sub-AT&T carriers like Net10,H2O, and Cricket. Just put your AT&T sim card in & you are good to go. Included in the box; LG v35 ThinQ Smartphone OEM Charging Brick OEM Type C Cable OEM Box This is an AT&T LOCKED device. It will only work with an AT&T SIM card. 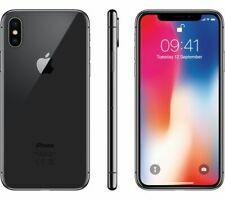 4.5 out of 5 stars - Apple iPhone X 64GB - GSM & CDMA Unlocked -USA Model -Apple Warranty -Brand New! 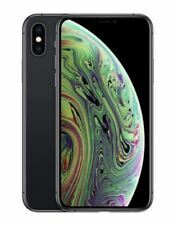 97 product ratings97 product ratings - Apple iPhone X 64GB - GSM & CDMA Unlocked -USA Model -Apple Warranty -Brand New! Trending at $375.90eBay determines this price through a machine learned model of the product's sale prices within the last 90 days. Device has a clean ESN for use with AT&T only. Won't work for other GSM networks. Can not be unlocked for free using AT&T Device Unlock Portal. A Fair designation is for a device that has a heavy amount of scratches, marks, nicks and/or cracks on the housing and/or display screen as a result of previous usage. Imperfections on the screen will not restrict visibility when device is powered on. Factory Unlocked. This item is Verizon/Factory Unlocked . 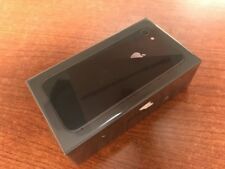 Apple iPhone 6 - 16GB - Space Gray Verizon. Apple iPhone 6 - 16GB - Space Gray (Verizon) Smartphone Clean ESN (Used). This Phone Has a Small LCD Spot with Minor Signs of Use! No accessories included with sale. 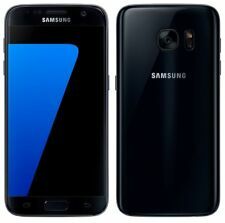 · Samsung S7 G930a SmartPhone. · Samsung Internal Li-ion Battery. Data Cable. · SIM CARD. What is NOT included. ORIGINAL NEW ZTE EARPHONES. ORIGINAL NEW ZTE CHARGING BRICK. ORIGINAL NEW ZTE SYNC / CHARGING CABLE. The Device is Unlocked would work for Local and International GSM Carriers. The Device will Not Work with CDMA Carriers like Sprint / Verizon. Trending at $215.00eBay determines this price through a machine learned model of the product's sale prices within the last 90 days. In order to make the most of your AT&T service, finding the right phone is essential. With so many options to choose from, it can take time to pick out the exact mix of features you want. Whether you're looking for HD video streaming or to make and receive occasional calls, the right choice will depend on your needs, preferences, and lifestyle. What cell phones work with AT&T? Most manufacturers have models that will work with AT&T plans. Apple, Samsung, HTC, Jitterbug, and LG all make cell phones designed to work with AT&T. A "locked" cell phone is one that is designed to work only on the network of the provider. AT&T allows you to bring your own device, meaning you can bring unlocked equipment to their plans. Unlocked simply means that this device will work on any network that allows you to bring your own. What classifies a wireless device as a smartphone? At minimum, smart means high-speed internet, mobile apps, and high-resolution video. Additional smart features on some models include voice recognition, wireless charging, and retinal scanners. What kind of phone should you choose? Depending on your needs, there are several layouts which may work for you. No one design works for everyone, which is why there are so many. Here are a few common layout categories. Touchscreen: This model type gives you a single HD screen and a few function buttons on the side and edge. The digital touchscreen handles most input, including an on-screen number pad to make calls. Models in this category include the LG V30, Samsung's Galaxy S series, the Apple iPhone, and the HTC One. This design type is a good choice if you are looking for a simple, stream-lined model. Flip: This category includes phones with a clamshell case that let you open and close your phone as needed. If you need to make a call, you can use a physical number pad to dial. Flip smartphones usually come with built-in keyboards as well as number pads. Models of this type include Jitterbug Flip, LG Revere, and Samsung Convoy. Due to the protective flip cover, this design works well if you need something sturdy. Phablet: This category includes larger models such as the Samsung Note series and Apple iPhone Plus. 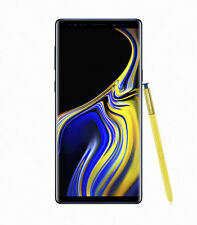 If you are looking for something between a standard-size touchscreen smartphone and a tablet, a phablet can be a good choice. Devices with LTE can use a dedicated, high-speed wireless mobile network that is available in most cities.